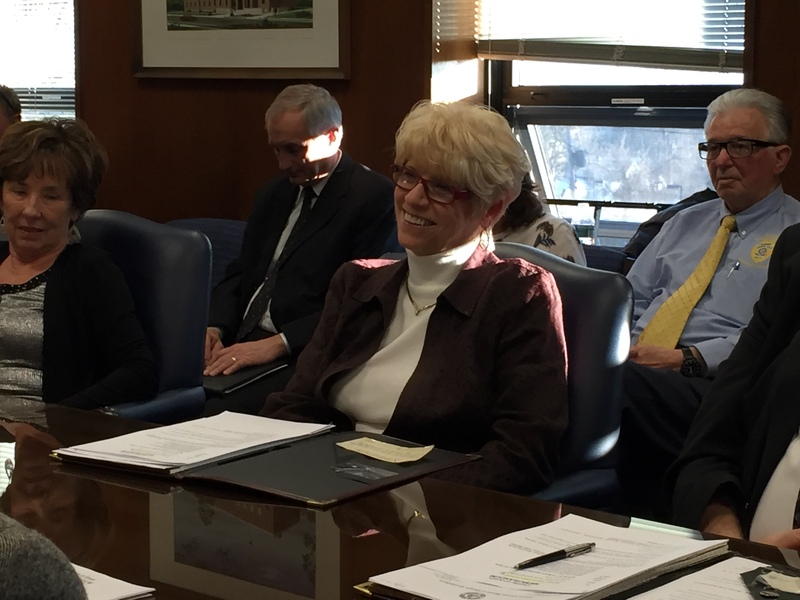 Virginia “Ginny” Haines, a former state assemblyowman and state lottery director, was sworn in as an Ocean County freeholder Wednesday and attended her first meeting of the county’s governing body – a work session that lasted about an hour. Haines, 69, of Toms River, was sworn in by county attorney Jack Sahradnik in an informal ceremony before the meeting began. She replaces former Freeholder James Lacey, of Brick, on the board. Haines serves as a Republican National Commiteewoman and is a luminary in Ocean County politics. While in the assembly, she serves as assistant majority whip. Her new colleagues on the freeholder board praised her leadership abilities and her ability to hit the ground running in her new post. Haines said she intends on running for a full term on the freeholder board. Her seat, along with Kelly’s, is up for re-election in November. It is unclear whether Kelly will be her running mate, or if he will be appointed to the state parole board in the near future. In the case Kelly leaves the board, Lacey Committeeman Gary Quinn is the frontrunner the fill the seat. Haines was selected by the county Republican committee at a convention Tuesday night.